A professional rodeo cowboy from Hico who also breaks and trains camels is sitting in a Waco jail awaiting transfer to California, where he faces federal charges of trafficking in rhinoceros horns for the illicit Asian folk-medicine market. 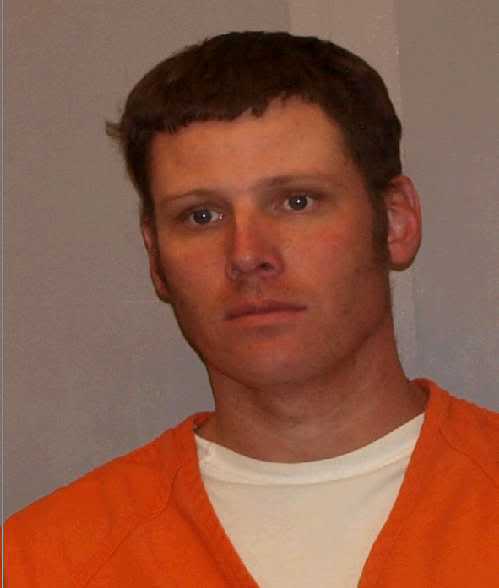 Wade Steffen, 32, who hasn't wrestled steers since being attacked by a camel in March, is one of seven people arrested in four states since Saturday in "Operation Crash," an 18-month investigation named after the term for a group of rhinos. More arrests are likely, said Ed Grace, deputy chief of law enforcement at the U.S. Fish and Wildlife Service. "This is an ongoing investigation," he said. Among those detained was a Chinese businessman who was picked up when he arrived in Los Angeles on Wednesday night. Another key figure is Jimmy Kha, owner of a California trading company. Kha, his girlfriend and his adult son are accused of using a porcelain-importing company and a Vietnamese nail salon as fronts for receiving and shipping black rhino horns over the past three years, according to a federal affidavit appended to a criminal complaint. Authorities have seized 37 rhino horns, $1 million in cash and $1 million in gold ingots, Grace said. Buyers typically pay about $5,000 a pound for rhino horn -- even antique ornamental pieces or ones cut from mounted heads -- and sell them in China and Vietnam for $25,000 a pound, Grace told the Star-Telegram in a call from Los Angeles. Rhino horn is considered a cancer cure and aphrodisiac. Experts say any claims of medicinal properties are pure myth, noting that the horn is made of keratin, the same material as human fingernails. Rhinos are already on the brink of extinction, and demand for the horn in powder form led to 440 rhino deaths last year in South Africa alone. "Illegal poaching of rhinos is a cruel and inhumane practice that threatens the very existence of this magnificent African species," André Birotte Jr., the U.S. attorney in Los Angeles, said in a statement. "Smugglers are an integral part of this international criminal chain, which is why we continue to target traffickers in the United States who support a heinous industry." On Feb. 9, Transportation Security Administration agents at California's Long Beach Airport found $337,000 in hand luggage when Steffen, his wife, Molly, and his mother, Merrily, passed through a security checkpoint. The federal affidavit said the agents acted on a tip from undercover Fish and Wildlife investigators who had been trailing the Steffens in California, spotting them with Kha and his girlfriend at his business and a seafood restaurant. Authorities also found two keys to safe-deposit boxes at the First National Bank of Hico. Steffen is accused of buying old rhino horns around the country and selling them to Kha since January 2010. The alleged transactions apparently occurred between rodeos, which had earned him $247,000 over a career dating to 2006. Steffen, the son of a steer wrestler, was 2010 co-champion at the All-American ProRodeo Finals in Waco, where he is now in custody at the Jack Harwell Detention Center. On Feb. 11, 2011, Steffen won $1,500 in prizes for steer wrestling in San Antonio, according to the Professional Rodeo Cowboys Association. A month later, he was attacked and badly bitten by a camel. Friends with pitchforks rescued him by putting out the camel's eye. Steffen underwent six hours of emergency surgery, his wife wrote on Facebook. He sold camels after breaking them for riding, she wrote. "A camel turned on him and grabbed his arm and started to fling him around like a rag doll," Molly Steffen wrote. "It broke two bones in his left arm, tore two arteries and ... some nerves to his hand and fingers." Wade Steffen has not competed again and has not renewed his professional rodeo membership, according to the association. He is charged with conspiracy and violations of the Lacey Act and the Endangered Species Act. The maximum penalty for conspiracy is five years in prison and a $250,000 fine; for violating the Lacey Act, five years and $250,000; and for violating the Endangered Species Act, one year and $100,000..
Five people, including a former rodeo cowboy from Hico, have pleaded guilty to federal charges of trafficking in black rhinoceros horns for the illicit Asian folk-medicine market, a U.S. attorney in Los Angeles said Friday. "I wanted to make money like everyone else, but if I knew then what I know now, I'd never get into it," said ex-PRCA steer wrestle r Wade Steffen, 32, who disclosed that he changed his not guilty plea because he was remorseful and needs to support his family and pay $200,000 in hospital bills for a serious camel bite he got in Texas where he trained dromedaries along with horses. But Steffen insisted that no endangered rhinos were killed for their horns. The horns came from antique trophy mounts, including a number bought in the Dallas-Fort Worth area, the Hico cowboy said. Last October, he was under surveillance by U.S. Fish and Wildlife Service agents when he acquired three mounted rhino heads through a straw buyer in Fort Worth at the World Class Big Game Trophy Mount and Western Auction, said Tim Santel, a service enforcement official. Santel said there would more arrests, including some in Texas. "People think I went to Africa, shot rhinos and cut off [their horns]. Not true," Steffen said in a telephone interview from Richmond, Ill., where he is visiting family. "Most were at least 60 years old. One was shot in 1900." His Chicago attorney, Michael C. Goode, said the maximum punishment is 20 years for Steffen, but he expressed hope the federal judge in Los Angeles takes into account extenuating circumstances. Steffen is sorry, has a 1-1/2 year-old child and he and his wife Molly are expecting another child, Goode said. His client wants to return to Texas to train horses. Agents seized more than $337,000 in cash from Steffen, who said he was paid a 10 percent commission from smugglers. He paid as much as $70,000 for a horn, he told the Star-Telegram . "Prices started getting crazy at the end."